Make It Your Business (MIYB), founded in 2017 by entrepreneur Alison Cork to support and encourage women to work for themselves, announces its partnership with Mumsnet, the UK's biggest website for parents. The partnership will provide an online chat forum for women thinking of starting their own business. From Jan 31st 2018, Mumsnet users can post questions and exchange ideas on any aspect of entrepreneurship or how to get started in running your own business, with the added benefit of feedback from the team at Make It Your Business and Alison Cork, who will be on hand to share their experience and advice. Founder of MIYB, entrepreneur Alison Cork says: “We are thrilled to be partnering with Mumsnet, and doing our bit to address the lack of support and information currently deterring many women from starting their own business. We look forward to working with Mumsnet’s vibrant and engaged community”. Make It Your Business is not for profit and free to join (http://www.makeityourbusiness.co.uk/join-us-free/). Members receive a monthly newsletter, get access to one on one advice from established female entrepreneurs, the chance to join local networking groups and a free ticket for one of the many MIYB seminars happening around the UK. Make It Your Business is part of The National Women’s Enterprise Network (www.nwenetwork.co.uk), founded by entrepreneur Alison Cork. It is a not for profit organisation set up to encourage and support women throughout the UK to start their own business. Mumsnet is the UK’s largest network for parents, with over 12 million unique visitors per month clocking up over 128 million page views. It has a network of over 9,000 influencers. It regularly campaigns on issues including support for families of children with special educational needs, improvements in postnatal and miscarriage care, and freedom of speech on the internet. There is a hint of tradition and heritage at the heart of all Alison’s work, but her contemporary treatment allows it to sit successfully in the modern home. ‘Everyday Elegance’ is her byword. Passionate about what Britain does best, Alison also works alongside skilled craftspeople and suppliers throughout the UK, to support British manufacturing. 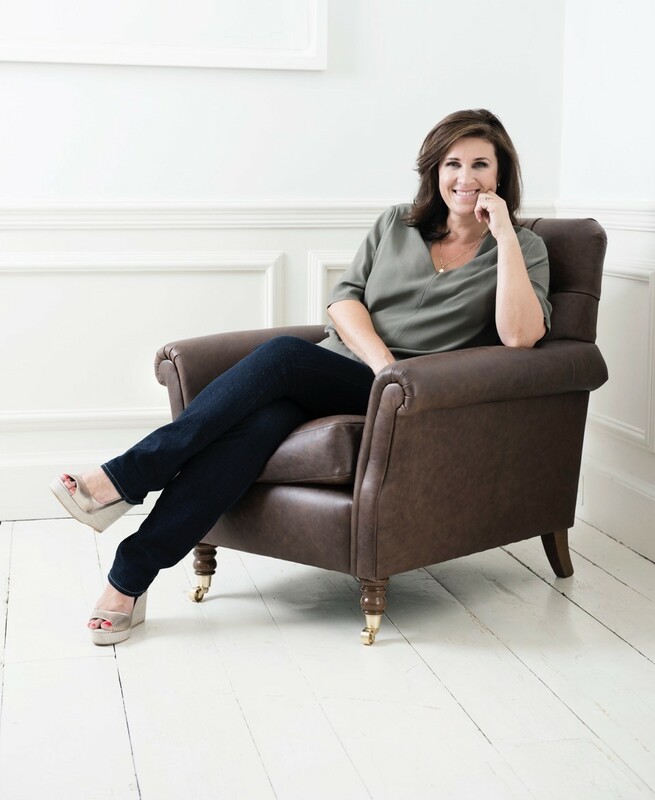 Aside from product design, Alison writes weekly interiors columns for several national newspapers including The Daily Telegraph, Times, Guardian, Observer and London’s Evening Standard, with a weekly readership totalling well over 12 million. Her TV presenting credits include Cowboy Builders (CH 5), Secret Removers (C4), Home In The Country (ITV), Don’t Move Improve (ITV) and Get The Look For Less (ITV).